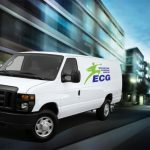 Based in Baltimore Maryland, Expedited Courier Group (ECG) is continuing to expand its services statewide. Currently, we are able to deliver to Virginia, Delaware, West Virginia, and Pennsylvania in order to meet your urgent and long distance delivery needs. Whether you are sending a single envelope or several large boxes, we will ensure safe and secure business to business or direct to customer shipping. Did you know that Expedited Courier Group also offers Same-Day Long Distance Delivery Service? We offer many long-distance delivery options when you need to send an envelope or package from anywhere within a 40-mile radius of Baltimore or to New York City and in most cases, we can deliver it the very same day. The rates that the larger conglomerates will charge you will be astronomical compared to Expedited Courier Group’s same day long distance delivery services. Our prices are competitive against the national companies for any shipment that is picked up and delivered out of state to Delaware, Pennsylvania, West Virginia, Virginia, North Carolina, New York, Connecticut, and Massachusetts. This service is treated like an exclusive service for any shipment that needs to be at its final destination absolutely the same day, not overnight or three days later like the USPS. We know want to know your business and how we can support your success. If you need to send a part dedicated to an assembly line, a medical device or a stat medical specimen, a legal document, or a motor vehicle part that needs to be delivered now; consider using instead Expedited courier group’s reliable delivery services to handle your urgent package. We are available 24/7 to decide to help you decide which option is the most cost effective given your specific time frame. Urgency is our business. Contact us today to learn how we can help you with your long distance delivery needs.